You've probably heard of quick charging, adaptive fast charging, rapid charging, USB power delivery charging, and Qualcomm Quick Charge 2.0/3.0/4.0 before - or at least one or two of these things. 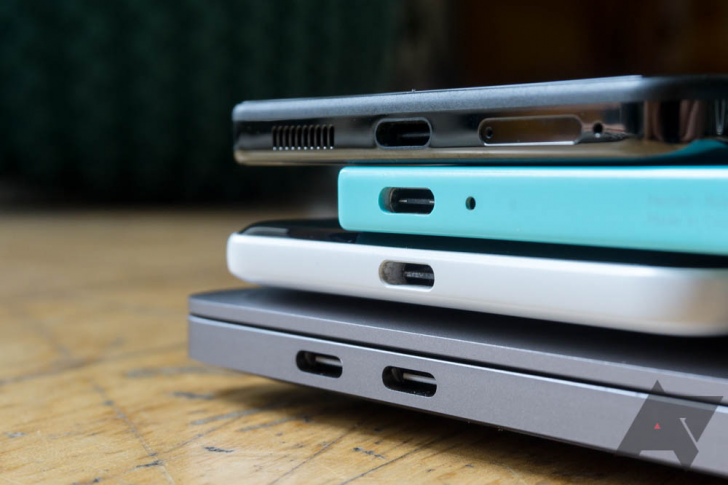 What you may not know is that all but one of them are actually basically the same thing, based on the same licensed technology from Qualcomm known as Quick Charge. More recently, Qualcomm's technology has slowly been supplanted by the likes of USB Power Delivery, the standard for charging governed by the USB-IF, the body behind USB itself. Additionally, new proprietary standards from companies like Oppo, OnePlus, and Huawei have split off from both Qualcomm and the USB-IF, further increasing the amount of charging confusion out there in the market. Let's try and clear all that up, shall we? First, I want to dispel the notion that you need an OEM-branded charger to get the maximum charging speed out of your smartphone, because this generally isn't true. And understanding that could save you a fair bit of money, especially if your phone doesn't come with a quick charger, or you need a second one for work or travel. Exceptions to this rule do exist: some smartphones from brands like OnePlus, Oppo, Vivo, and Huawei will not charge truly quickly on any charger but the ones sold by those companies, and there are good technical reasons for this (but it boils down to: their phones and chargers often use custom power solutions to achieve higher charge rates). But for Google, Samsung, Motorola, LG, Xiaomi, and even Apple's iPhone, this just isn't the case. First, let's talk about what Qualcomm's Quick Charge is. The basic thing you need to know is that "Quick Charge" is just a marketing term for the capabilities of the power management circuitry in your smartphone and wall charger. That means both your phone and your charger need to support Qualcomm's quick charging in order for it to work. Generally, that means your phone probably needs to have a Qualcomm chipset. While Qualcomm has licensed the technology to non-Qualcomm smartphones like the global Galaxy S and Note phones, that's otherwise pretty unusual today. As far as how it works, Qualcomm's Quick Charge in its v2.0 and 3.0 iterations allows you to dump a lot of power into your battery by using higher-than-normal voltage until it reaches what's called "saturation" - usually around 60-80% charge depending on how the phone's power management is configured. At that point, the phone's power controller scales back the amount of power it's receiving and your phone will begin to charge more and more slowly as it approaches 100%. This is where the "adaptive" language comes from in Samsung's fast charge marketing - quick charging allows your phone to intelligently scale the amount of power it takes from the charger based on the current charge state of the battery. So, how do you know if your phone supports quick charging? You'll need to do some research on the web. You're going to have to consult Qualcomm's Quick Charge website or your device manufacturer if you want to know for sure without actually trying a quick charger. There are lists of phones with this technology out there - Qualcomm has a very good one that you can find right here - so if you're not sure, just do a little digging - it shouldn't be difficult information to find. Just remember that Quick Charge 2.0/3.0, quick charging, fast charging, adaptive fast charging, and turbo charging - they're all usually going to be referring to the same thing. Now, by usually, I mean that there are essentially two generations of quick charging out there. You have the Qualcomm Quick Charge 1.0 devices, most of which came out in 2013 and early 2014 - much older phones like the Galaxy S5, Note 3, the first-gen Moto X, the Nexus 5, and a handful of others. These phones don't charge as quickly as Quick Charge 2.0 devices, but they should charge at full Quick Charge 1.0 speeds when using a Quick Charge 2.0 charger, so there's at least backwards compatibility. Quick Charge 1.0 isn't on new phones anymore, so it's not really as relevant to discuss - what you need to know is basically just that Quick Charge 1.0 isn't as fast as Quick Charge 2.0. How much slower is it? Qualcomm says it's around half the speed of Quick Charge 2.0 if you're charging from 0% for 30 minutes on a device that's turned off. It's worth noting, though, that the difference is probably proportionally less if you were to do, say, a 50 to 100% charge, because of the saturation effect and intelligent scaling. Quick Charge 2.0 is the technology you see on the Galaxy S7/S8/S9/S10, Galaxy Note 5/8/9 - basically any Samsung phone in the last five years. It's much rarer to see it on other new smartphones - Samsung is kind of the exception to the rule here, and basically any modern Galaxy S or Note smartphone ships with a Samsung-branded "Adaptive Fast Charge" charger that is no different than almost any other Qualcomm Quick Charge 2.0 charger you can buy. All of these phones, when using a Quick Charge 2.0 charger with support for the 1.67A/9V output, are going to charge at basically the same speed relative to the rated capacity of their batteries. It shouldn't matter what brand the charger is - if it's a Qualcomm Quick Charge 2.0 certified charger, it's going to work and charge at the full rated speed the phone will allow. Quick Charge 3.0 is a newer, more efficient version of Qualcomm's Quick Charge tech that is backwards-compatible with Quick Charge 2.0. That is, a Quick Charge 3.0-certified power brick should charge your Quick Charge 2.0 device (like a Samsung Galaxy S or Note phone) just as fast as a Quick Charge 2.0 charger, like the Samsung one that your phone comes with. 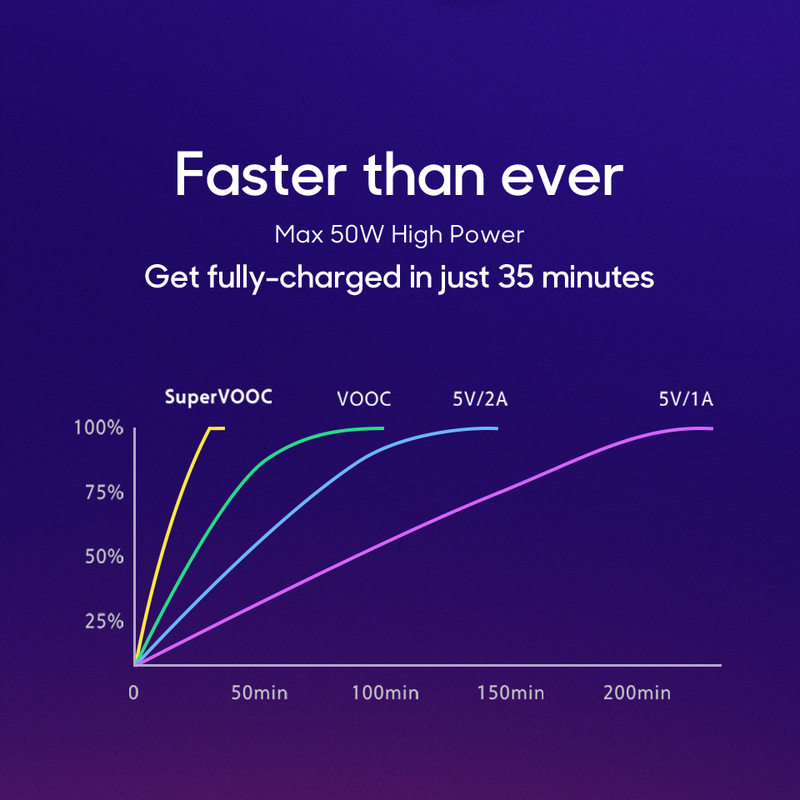 Quick Charge 3.0 supports a variety of maximum power outputs, and just how much power your phone will be able to accept from the charger depends on its individual capabilities. Some phones can take only 15 or 18W of total input, others (though this is rare) may accept up to 27 or 30W. You'll need to consult resources for your individual phone to find out. But, even if your Galaxy S phone doesn't support the full speed of a given Quick Charge 3.0 brick (or supports more power than it can provide), the technology is such that it should negotiate the fastest charge rate possible given the limitations of phone and charger. 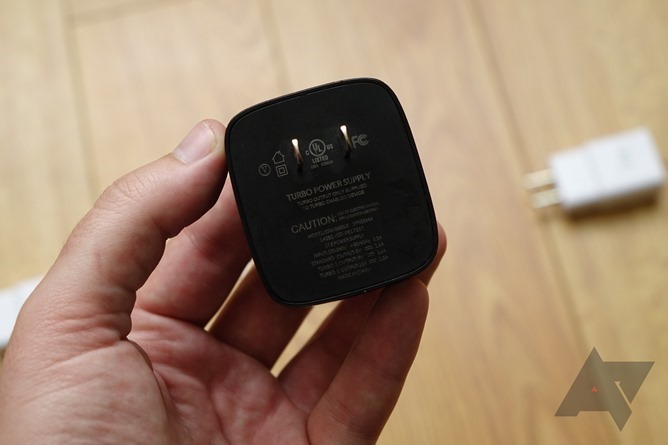 This also means both the charger and the phone need to support a given charge rate to negotiate it - buying a 24W Quick Charge 3.0 charger for your Galaxy S10 won't charge it at 24W, even if the charger advertises support for your Samsung phone model. That just means it can charge Samsung smartphones quickly - how quickly is another question entirely. The Galaxy S10 - and the S9, S8, S7, Note8, and Note9 - support a maximum of around 15W of charging input, so when you plug into that 24W charger, it will negotiate a charge rate closer to 15W, not the maximum 24W the charger itself is capable of. Make sense? But this leads to another point: you often don't need an expensive, OEM-branded quick charger to get the maximum charging speed out of your phone. Qualcomm's own Quick Charge documentation even has a list of Quick Charge-certified chargers (some exceptions to this rule exist - see the last section). This Aukey charger is around sixteen bucks on Amazon. Why, then, does a manufacturer's charger cost $30 while something like this Anker Quick Charge 3.0 charger is just $13 on Amazon? Certainly, you could probably argue that the Samsung brand charger is subject to more scrutinizing quality control, potentially contains superior electrical components - and I cannot stress enough that even this may not be true, I haven't torn these chargers apart - and as such may have a lower failure rate than an off-brand charger. Beyond that? They're basically the same thing as far your phone and battery can tell. Can the extra money for the official charger be justified, then? Let me put it this way, even if you bought two of these Ankers - a brand which I am not specifically endorsing, it's just a random one I picked up on Amazon - and a month later one of them failed, you'd still come out ahead versus the OEM-branded charger. Here's another with at least 18W of output that reviews well on Amazon, and there are likely even more well-reviewed ones out there on other online shopping sites. While I'm certainly not deaf to the argument that shoddy electronics exist, you've also got to realize that hundreds upon hundreds of companies are now building smartphone wall chargers, and there are only so many things you can really screw up before your Amazon reviews end up in the gutter. And remember, you're only going to need this charger, probably, for a couple years - does it really matter if the OEM one is more likely to last for five? Let's also not forget that with the transition to Type C USB connectors on the horizon, full-sized USB ports on wall chargers may become a thing of the past within the next few years, and so you may want to start investing in USB-C to C cables. Another practical question about quick charging that you might have: how can I tell if the charger that came with my phone is a quick charger? This is actually easier than you might think. Among the various certifications and product info on the charger, you should find something resembling the word "output" - and next to that word you should see a voltage and an amperage, if not usually two or more voltages and amperages. 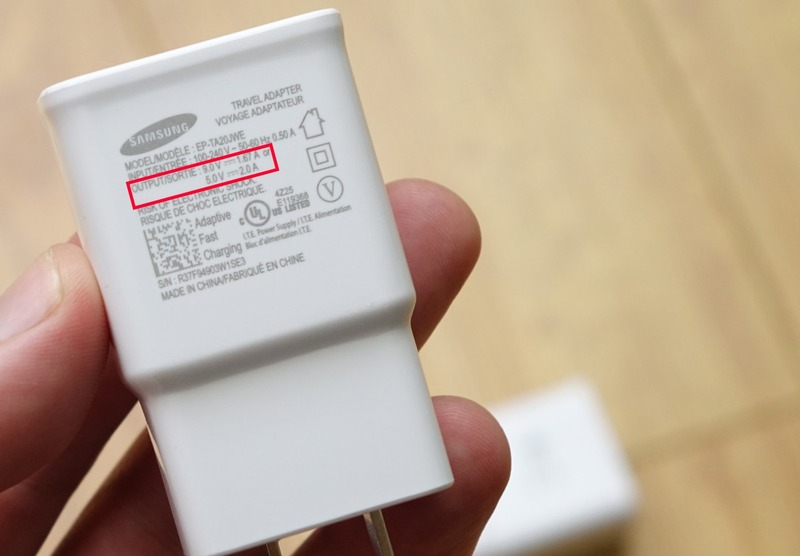 Quick Charge 2.0 chargers generally have at least two ratings, one of which should be 15W or more (multiply the voltage by amperage to get your wattage - in this example its 1.67x9, which is roughly 15W). You'll find many that are 18 watts (like all of the Amazon models I linked), or 12V at 1.5A and 9V at 2A, but your phone may not support speeds that high - and you'd need a USB power meter to really be sure. But if your charger does support up to 18 watts, in theory you could be a little more future-proofed when phones with this charging speed start to come out. There are even 20 and 30W examples on Amazon, but it's rarer that phones support such high inputs on Quick Charge 3.0 (generally only proprietary charge methods do this, and rarely USB-PD or Quick Charge 4+), and the end device will only accept the maximum level it's capable of handling. But what about other charging standards, like USB Power Delivery and Quick Charge 4.0/4+? That's where things get tricky. I'm going to give you the condensed version of USB Power Delivery and Quick Charge 4+, because this story could get very complicated getting super technical. What you need to know is that in 2017, Qualcomm decided it would join forces (sort of) with the USB-IF and support the industry standard USB Power Delivery for its charging certification going forward. In essence, Qualcomm Quick Charge 4+ and USB Power Delivery (USB-PD here on out) are intercompatible. A USB-PD charger should support fast charging a Qualcomm Quick Charge 4+ phone, and a Qualcomm Quick Charge 4+ charger should support fast charging a USB-PD phone. Just how well they will work with one another does vary, unsurprisingly, by the charger and the handset, and that's where things get a bit muddy. So, first off, why even call them different names if they're essentially the same thing? It's a good question, and I'm afraid it's one without a very satisfying answer. Qualcomm, for its parts, claims that Quick Charge 4+ certification means phones will charge more efficiently and with less heat generated, as well as utilize components that are less likely to result in electrical or fire hazards. In reality? The USB-IF has its own USB certification program for Power Delivery as well, and while it may not be as rigorous or Qualcomm's (honestly, I don't know! 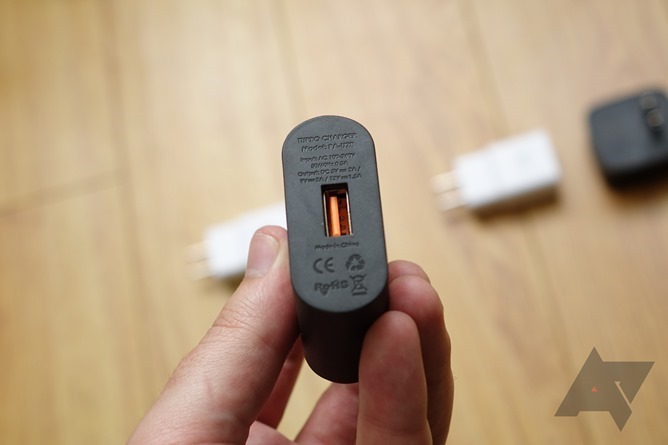 ), far more accessory manufacturers are now shipping USB-PD chargers for smartphones and laptops with the USB-IF certification than with Qualcomm's Quick Charge 4+ one. In fact, very few smartphones are even Qualcomm Quick Charge 4+ certified - a few from LG, Xiaomi, LG, and ZTE are basically the only ones of note. Google's Pixel smartphones use traditional USB-PD (as do Apple's newer iPhones and iPads), while phones from the likes of Nokia, Motorola, and other budget brands are much more of a tossup. Generally, many manufacturers are reluctant to advertise their phones as USB-PD compliant even if they work with USB-PD chargers, because that requires USB-IF certification, and means support for a given "set" of charging speeds defined in the USB-PD spec. So, while a Nokia 7.1 may charge quickly on a Google Pixel USB-PD charger because it supports 9V/2A output, the phone itself isn't advertised as being USB-PD compliant. Other budget phones may only support speeds as low as 10W or even 7.5W, which don't necessitate Qualcomm Quick Charge or USB-PD accessories in the first place. 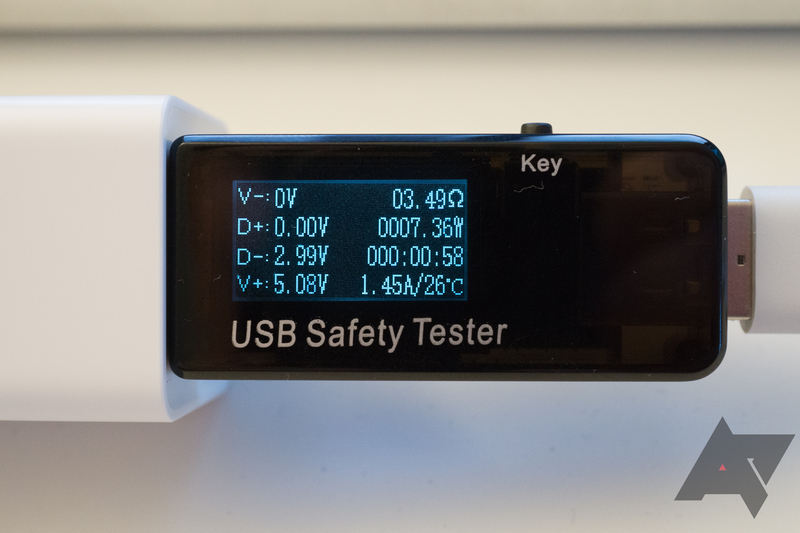 A USB power tester is an excellent way to determine your true charge rate. We like this one for the price. How do you figure out what charge speed your USB-PD or Quick Charge 4+ phone supports? Generally, manufacturers advertise a phone's maximum charge speed in its specifications (you may need to Google a bit), but another good way is just to look on your stock charger as in the image from the previous section and find the greatest output it is rated for (multiple volts by amps to get watts). In reality, there just aren't many phones with Qualcomm Quick Charge 4+ out there, so it's kind of a moot point to even discuss it all that much. What you should know is that Qualcomm Quick Charge 4+ chargers are all USB-PD compliant by default (since the QC4+ spec is intercompatible). So, even if the Google Pixel 2 and 3 aren't "Qualcomm Quick Charge 4+" phones, they should still work fine with Quick Charge 4+ chargers. Have I lost you yet? The current crop of Qualcomm Quick Charge 4+ phones is limited and largely obscure. You probably don't have one. As to what the big deal with USB-PD in general is? The big hope is that USB-PD will be the last major power standard for USB electronics. It supports a huge range of power outputs, and many laptops are quickly embracing the USB-PD standard. That means in the future that you could carry just one charger for your laptop, tablet, smartphone, and camera - which sure would be nice. For example, Apple's newest Macbook chargers can rapidly charge your iPhone or iPad as well your laptop, and can do so at much higher speeds than the in-box iPhone charger, which tops out at a measly 5W. Similarly, Google's Pixelbook laptop comes with a 45W USB-PD charger that can also fast charge your Pixel smartphone, though it does so at the same rate as the phone's in-box charger (around 18W). Some manufacturers have begun to really push the boundary of fast charging in smartphones, especially in Asia - brands like OnePlus, Oppo, Huawei, and Vivo all have proprietary charging standards that require often not only specifically branded power bricks, but special USB cables to properly function as well. You'll need to consult the web based on your phone model to determine what, if any, alternate fast charge methods a phone with these technologies may support, as it's probably going to vary substantially. That said, these custom super fast charge methods are often much faster than what you get on a Pixel, iPhone, or Galaxy phone - some max at out at more than twice the peak output of these "traditional" flagship smartphones (Oppo's latest SuperVOOC can hit a tremendous 50W). So, while the cost may be expensive, first-party chargers that are only available from the manufacturer, the payoff is potentially way, way faster charging. 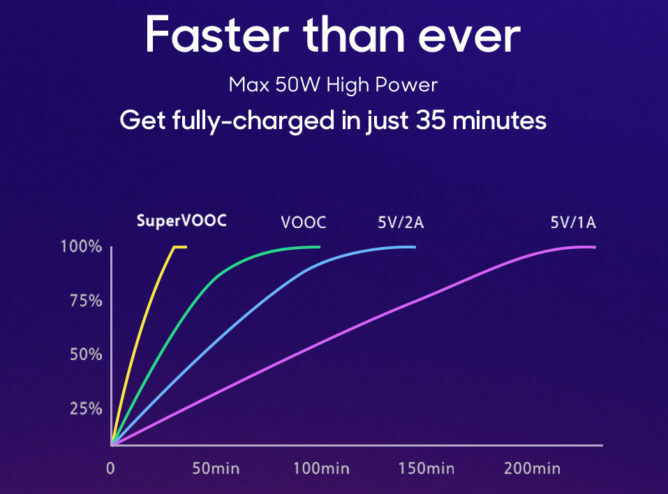 Tech like Oppo's 50W SuperVOOC is no joke - it's really fast. As to the downsides of heat and battery stress? Unless you plan to own your smartphone for many years, it's unlikely these boosted charging methods will degrade your phone's battery a lot faster than traditional chargers. Also, even if your battery does drain a bit faster, you'll be able to charge it so rapidly that it will mean far less time tethered to a cable in the first place. That means less time charging your phone and more time when it's available - a trade-off that's probably more than worth it for most people. Charging is becoming a real confusing part of owning a phone, so we hope this guide helped clear a few things up. Let us know in the comments if there are more subjects you'd like to see covered.